We hope you’re having an amazing year so far! Since it’s a new year, we wanted to let you know about some of our favorite color palettes you’ll be seeing this year. 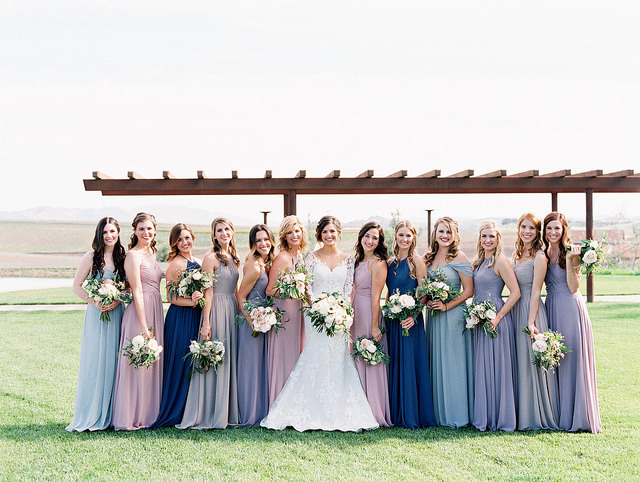 From the muted hues of the dusty palette, to the softer pastels of the romantic palette and the boldness of brighter statement colors, you’ll want to see these. 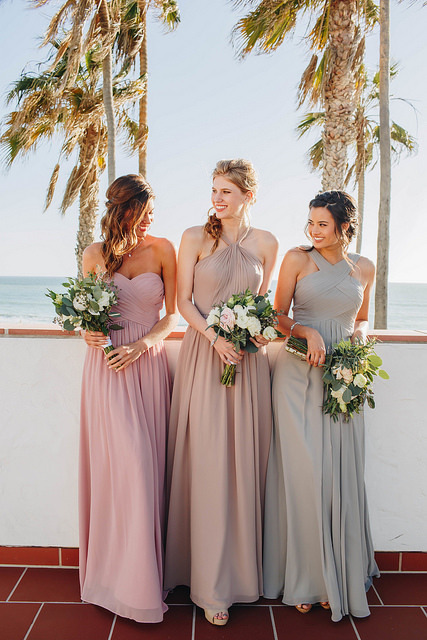 If you want your bridesmaids to have a modern look that’s perfect for fall or winter weddings, try some of our favorite dusty shades from Dusty Rose, to Dusty Blue, Dust Sage and even Mist! Your girls will look elegant and sophisticated when they walk down the aisle. 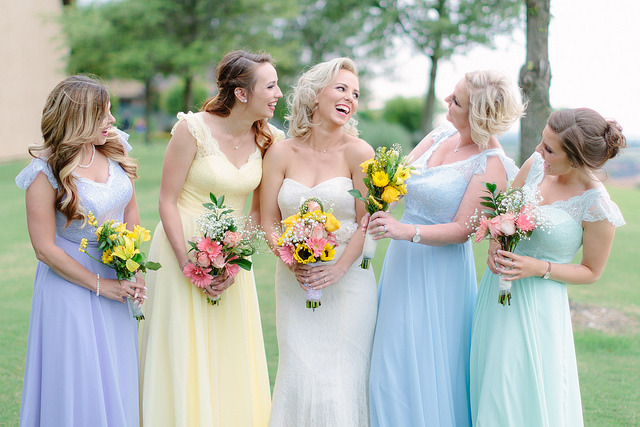 Pastels have been a popular fave for decades. 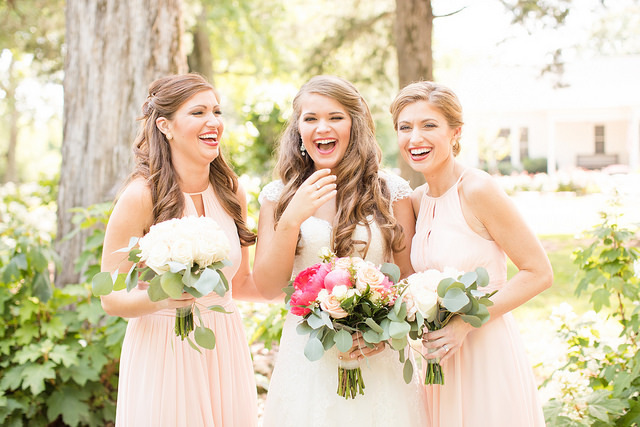 This year is all about celebrating this classic look with some of our favorite hues like: Blushing Pink, Peach, Daffodil, Mint Green, Lilac and more! This is a fave for summer and spring weddings, and of course, you can even create a chic pastel rainbow with these shades. 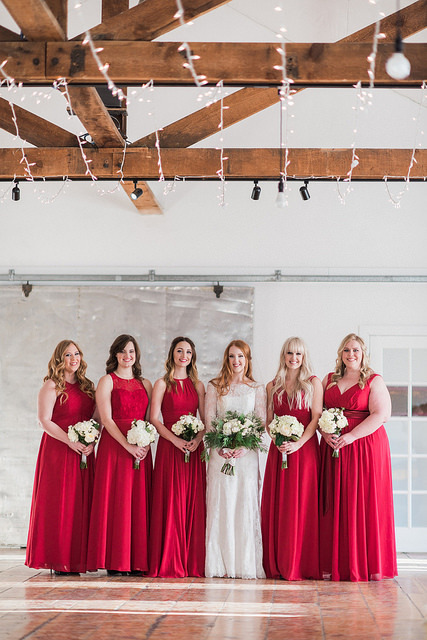 If you want your bridesmaids to be bold and beautiful on your big day, this palette is the one for you. 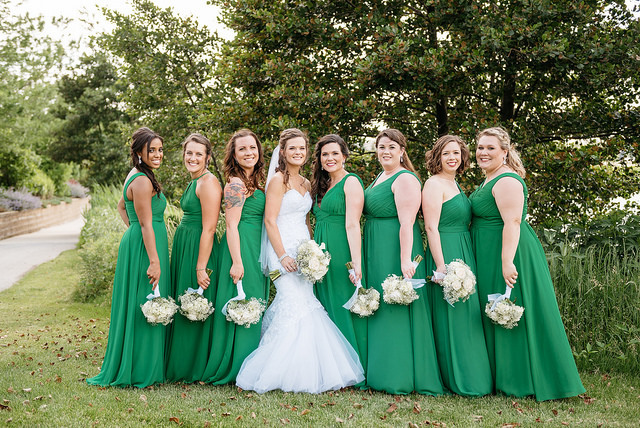 Whether you want to go for a unique color combo or choose one of these eye-catching shades, this year is going feature bridesmaids in color such as: Red, Lemon, Emerald, Royal Blue and Regency. 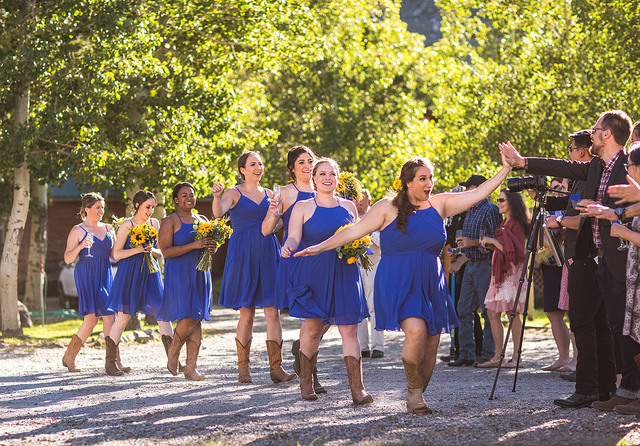 There will be no fading into the background for your fabulous bridesmaids. 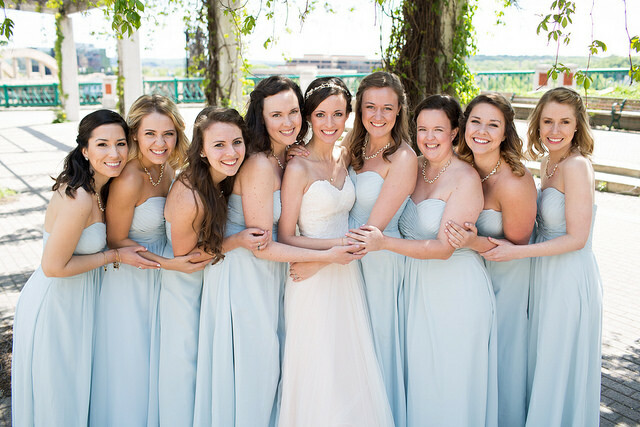 « New Year, New Dresses: Our Latest Bridesmaid Styles Are Here!